They ended up in the best possible place. A month ago, Craig Mcgettrick and his coworker were clearing waste out of a garden in England when they came across an old mattress. 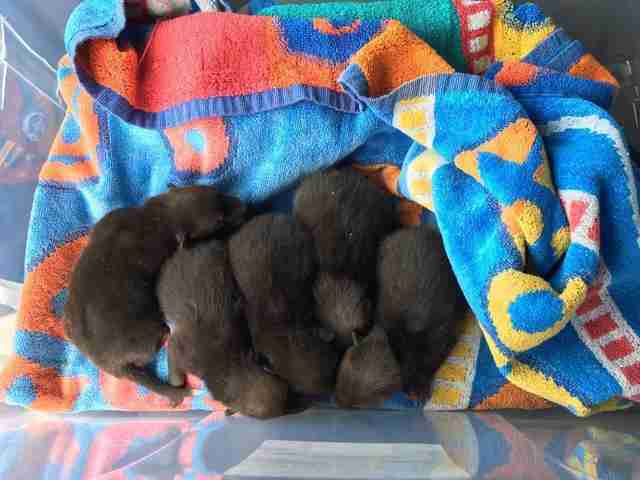 They lifted the mattress, and found something quite unexpected - five tiny puppies. At least Mcgettrick thought they were puppies. Either that, or they were kittens, Mcgettrick told The Dodo. "Those were probably the only two options I knew of," Mcgettrick said. "We thought someone had dumped them knowing we were going to remove rubbish." Wanting to do the right thing, Mcgettrick placed the puppies into a cardboard box and took them to an animal rescue center. 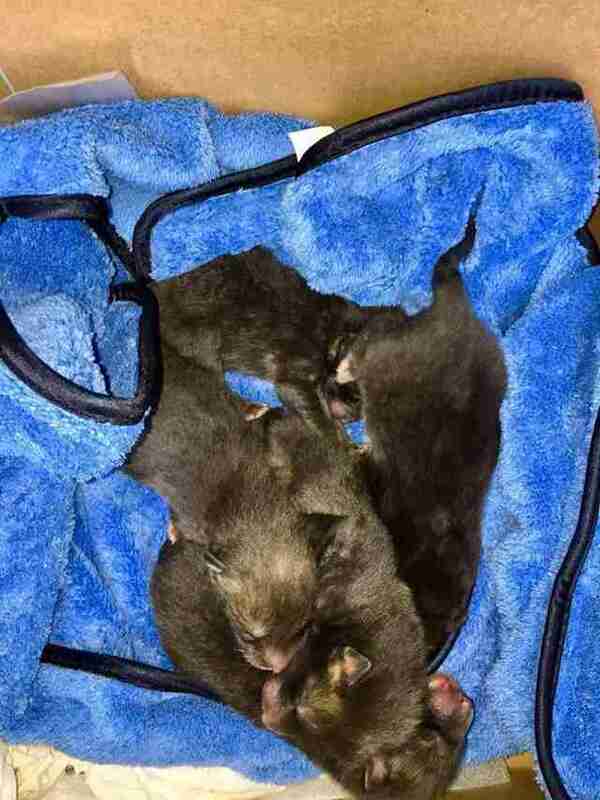 But before he dropped the animals off, Mcgettrick posted photos on Facebook. The photos eventually found their way to Martin Hemmington, founder of the National Fox Welfare Society. 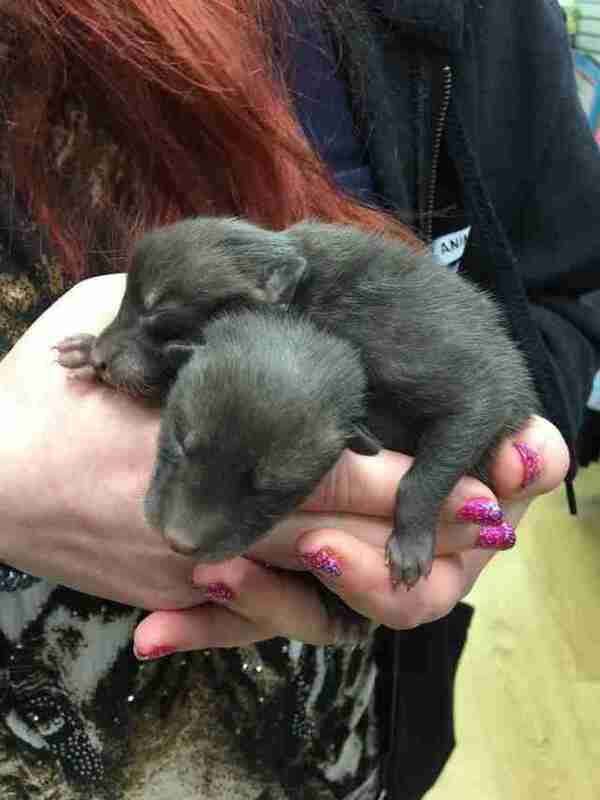 "We were contacted by a lovely lady called Beccie through our Facebook Page; Beccie had sent a few photos asking if the babies in the photos were indeed fox cubs," Hemmington wrote in a Facebook post. "We confirmed they certainly were. 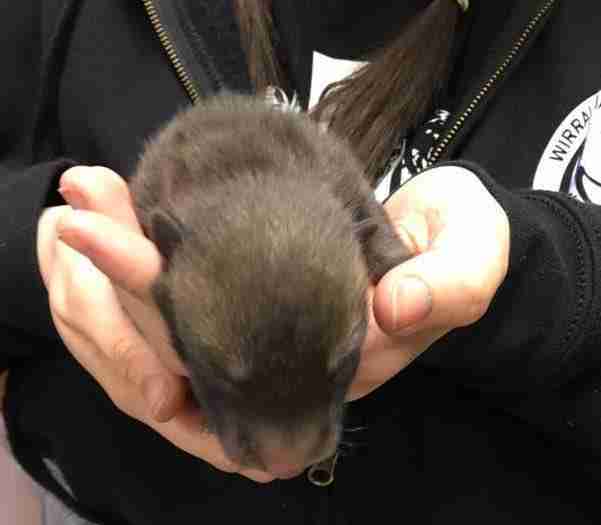 Beccie advised us that they had been taken to a rescue center in Liverpool mistakenly as puppies, not fox cubs." 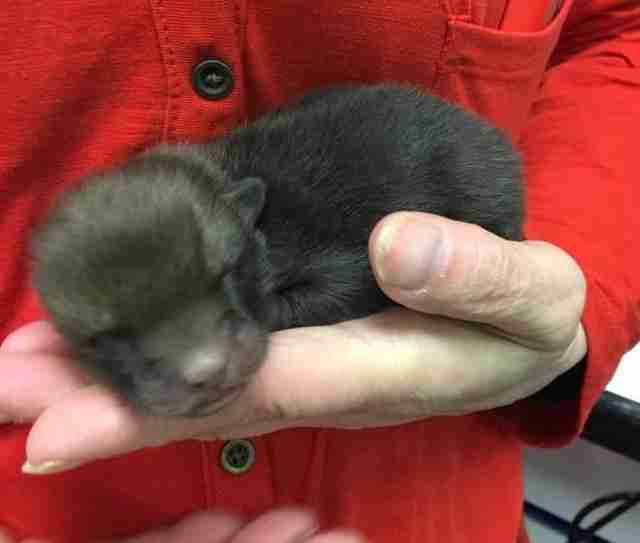 "Fox cubs don't initially look like foxes when they are cubs, so it's common for people to mistake them for dog puppies," Paul McDonald, a local rescuer with Freshfields Animal Rescue known as The Fox Man, told The Dodo. "They are brown in color as opposed to the red, ginger color of adults." The mother fox had probably probably been using the mattress as a den, McDonald explained. 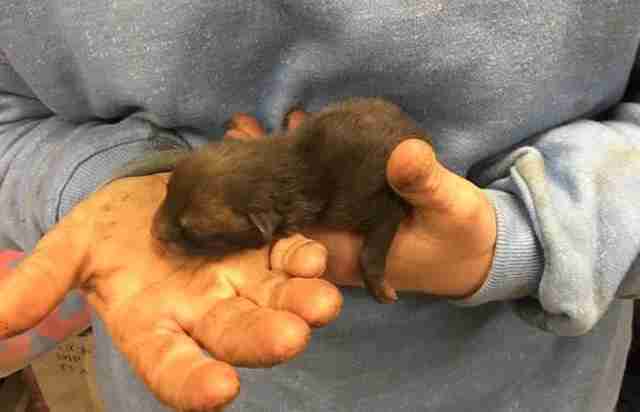 "Vixens leave their cubs all the time whilst they are in the den, and as they get older they'll begin to explore their surroundings more and more, and become less dependent on mum as they get older," McDonald said. These fox cubs, however, were newborns, so they hadn't left their den yet. Hemmington got in touch with McDonald, and asked if he could pick the cubs up from the animal rescue center. McDonald wasn't in the area, but he got a volunteer to pick the cubs up and deliver them to him. Once the fox cubs were in his care, McDonald did the best thing possible - he took them back to the garden to try and reunite them with their mother. "I didn't give the cubs any milk in order for them to be hungry so they'd cry out and call for their mum, which they did," McDonald said. "I put them around the same place they were found, as I knew the mum would be looking for them, and she'd be checking the place she last had them." Around 4 o'clock the same day, McDonald placed the cardboard box with the fox cubs back in the garden. 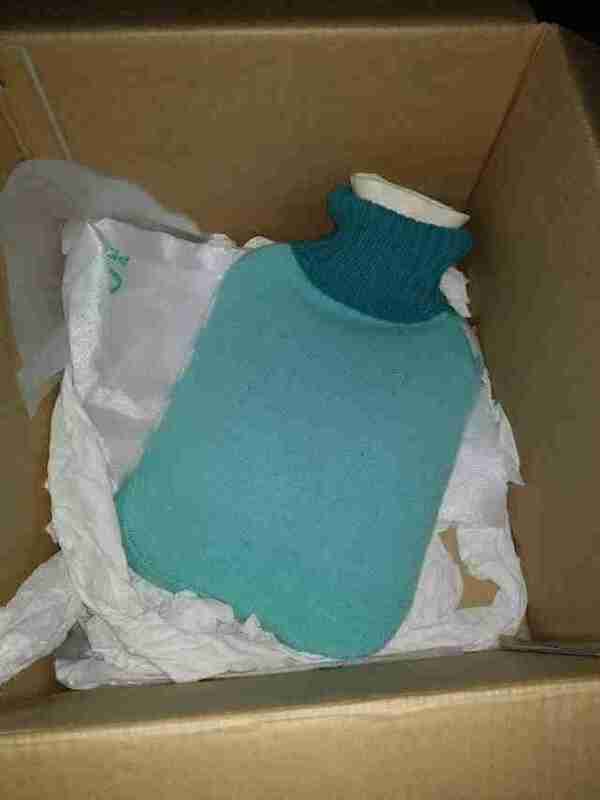 He also put a hot water bottle into box to keep the babies warm. Then McDonald waited. Sure enough, the mom arrived an hour later. At first, she only took one cub, and stayed away for over an hour. "I believe once she'd picked the first one up and knew the others were safe in the box, she waited until it got dark to get the rest as she must not have felt safe moving the cubs in daylight," McDonald said. She eventually returned for another cub. And another. And another. By 7 o'clock, the mother fox had taken every single one of her babies. "Paul texted me a photo of the empty box," Hemmington wrote on Facebook. "All through this, I was letting Beccie and Craig know and everyone was so pleased that the cubs were back where they belonged ... with mum!" McDonald, too, couldn't be happier with the resolution. "It made me feel ecstatic that the cubs went back to their mum, as it would have been a tragedy not only for the cubs not being brought up by their own mother, but for the mother to lose her cubs," McDonald said. "This is without a doubt the best kind of rescue in my line of work, when nature is allowed to take its own course." To find out more about McDonald's work, follow The Fox Man on Facebook.